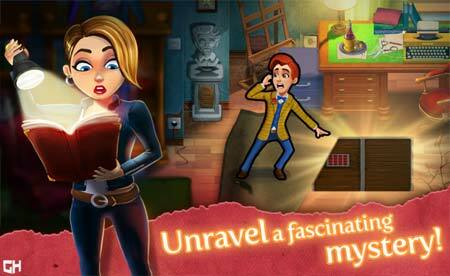 Mortimer Beckett and the Book of Gold is a fun hidden object puzzle adventure game by GameHouse. The introverted thinker Mortimer and the extroverted spontaneous Kate have brought the mysterious Book of Gold, but there’s many more twists to come. You have to help them to solve the gripping mystery and tackle ingenious riddles. The game features 30 locations including the jungle, the desert, and many more exciting places. There are 60 story levels and 18 extra challenging timed levels. If you get stuck in the game, check out the video walkthrough for the game. This entry was posted in Android Games, iOS Games, Mobile Games, Walkthrough and tagged Mortimer Beckett and the Book of Gold Answers, Mortimer Beckett and the Book of Gold Cheats, Mortimer Beckett and the Book of Gold Gameplay, Mortimer Beckett and the Book of Gold Guide, Mortimer Beckett and the Book of Gold Hints, Mortimer Beckett and the Book of Gold Solutions, Mortimer Beckett and the Book of Gold Strategy, Mortimer Beckett and the Book of Gold Walkthrough, Mortimer Beckett Gameplay, Mortimer Beckett Walkthrough by Marvin. Bookmark the permalink.